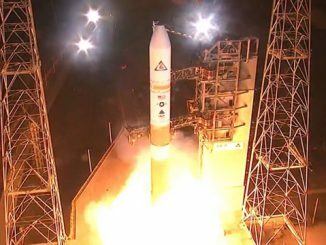 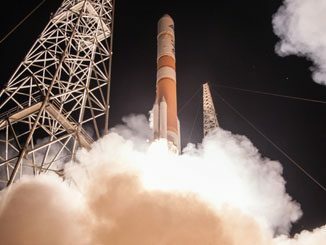 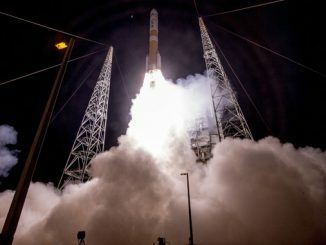 Launching the Wideband Global SATCOM 8 satellite for the U.S. military, a United Launch Alliance Delta 4 rocket thundered away from Cape Canaveral at 6:53 p.m. EST (2353 GMT). 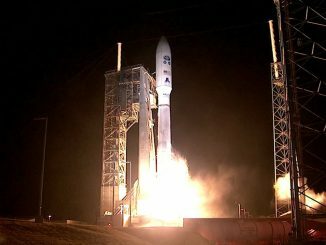 The 100th flight of America’s Evolved Expendable Launch Vehicle program — a United Launch Alliance Atlas 5 rocket — departed Cape Canaveral on Saturday evening carrying the most advanced U.S. weather satellite ever made. 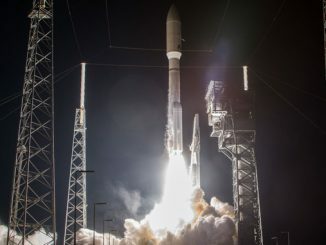 Launching the high-tech GOES-R satellite to revolutionize U.S. weather forecasting, a United Launch Alliance Atlas 5 rocket thunders away from Cape Canaveral on Saturday at 6:42 p.m. EST (2342 GMT). 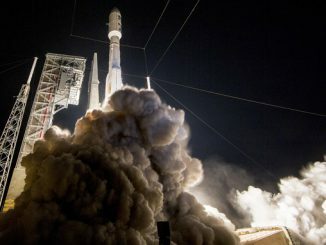 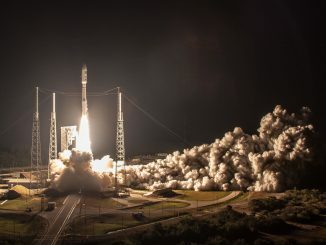 Revolutionizing the way American meteorologists see the weather, likened to the advancement from black and white television to modern high definition TV, a new observatory was successfully launched Saturday by an Atlas 5 rocket to serve as the linchpin to forecasting what tomorrow will bring. 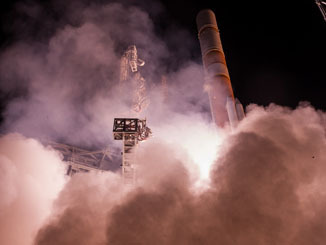 The Russian Soyuz MS-03 crew transport spacecraft is launched from the Baikonur Cosmodrome with three passengers on a two-day trek to the International Space Station. 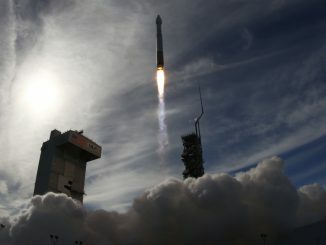 Launching the commercial WorldView 4 Earth-imaging satellite for DigitalGlobe, a United Launch Alliance Atlas 5 rocket thunders away from California’s Vandenberg Air Force Base today at 10:30 a.m. local time (1:30 p.m. EST; 1830 GMT).